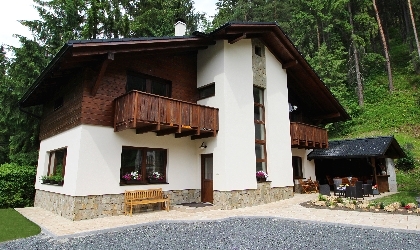 Our accommodation facilities are located in the beautiful Liptov region and the Low Tatras, in the valley of Demanovska Dolina, which is the gateway to the ski resort of Jasna. 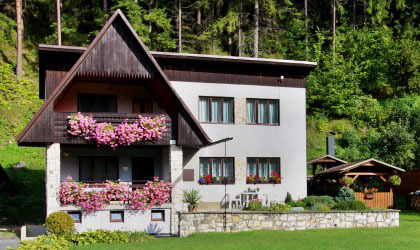 This convenient location with several ski resorts, caves, the town of Liptovsky Mikulas, lake Liptovska Mara, thermal pools and waterparks Tatralandia and Besenova, is ideal for active recreation and relaxation in nature throughout the year. For our guests we offer accommodation in a newly built cottage with one apartment and three studios with a total capacity for 17 people and accommodation in the cottage Zember with a capacity for 12 people. We will be pleased to welcome you to our accommodation! This newly built cottage offers accommodation over one apartment and three studios. All are equipped with kitchenette and own bathroom with toilet and fully furnished to a high standard. The capacity of the accommodation is from 2 to 5 people. Shelter and terrace are part of the facility. The cottage provides year-round accommodation for several families (8 - 12 people) in one building. There is a living room with fireplace, fully equipped kitchen, four bedrooms and two bathrooms. Next to the cottage there is a shelter with seating and a fireplace and also a children's playground. Find us on Facebook and visit our Facebook Fun Page to stay up to date with the latest news! We sell GOPASS cards, which allow you to enjoy discounted prices of ski passes and aquapark tickets. More information at: www.gopass.sk/en. 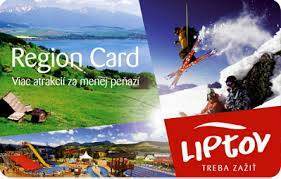 We sell LIPTOV region cards, which allow you to get attractive discounts from 5% to 50% for more than 50 summer and winter attractions in the Liptov region. More information at: www.liptovcard.sk.